‘Some are born great, some achieve greatness, and others have greatness thrust upon them’ Twelfth Night – Act II, Scene V .
William Shakespeare, the majestic bard, the enchanting poet, the ethereal playwright, and supposed inventor or first recorded user of dozens of words in the English language that are still used today, words like ‘leapfrog’ and ‘distinguishable’. The author of 38 plays and 158 sonnets that we know of plus numerous epitaphs and dedications attributed to his divine hand. His list of achievements for posterity is seemingly endless. The floridity of his language and the exquisiteness of his words on love, loss and the very nature of power are shattering in its near perfect delivery. This is the Shakespeare we all know. Whether we adore, loathe or merely don’t care is beside the point. His name is rightfully synonymous with literary genius, and yet with that name comes conspiracy and intrigue. Very little is actually known about him, and what we do know is a cause of extremely hot debate. In all, nigh on 100 documents have been found relating to him and his family, from baptism records, court documents, marriage writs etc. Documents like this are wonderful, as they pinpoint Shakespeare at a particular point in time, but they paint Shakespeare as a mere statistic, no portrait of a man can be found in these documents. Even the very nature of his sexuality is brought into an arena of minds and fought over, a sensitive subject, not that it actually matters. He was born in Stratford-upon-Avon in 1564; he married Anne Hathaway in 1582, and then moved to London, and with most incredible speed became a successful writer, only to return to Stratford and died in 1616. It appears everything with Shakespeare is relative. His appearance is relatively agreed upon, the images we do have, including the one at the top of this piece, are a matter of some debate. We are only certain about some of his activities and positive only on about 2% of his entire life. Arguably the largest problem faced is that we do not know the chronology of whence they were written with any definitive affirmation. But we do have some information as to when they were performed. It can be carefully deduced as to where he got his material from, but after that it’s all rather up in the air. Only a few words are believed to have been ‘quilled’ in his own hand, these are mere signatures and the two words ‘By Me’ written at the very end of his will. That’s right, not a single manuscript, correspondence or mere scrap exists in his own hand as far as is aware. Mercifully we do have contemporary accounts of him, albeit brief, from other artists and contemporaries. These facts have led others for centuries to question the nature of the real identity of the author of the works, with titans of history such as Mark Twain, Sigmund Freud and countless others each putting their 10 pence worth in to the mix arguing that William Shakespeare, the star of a provincial backwater, son of a glover, couldn’t possibly have written anything of this beautiful magnitude and intellect, and thousands of books have been written to this effect. Do these Shakespeare conspiracy theorists have a point? Are, as is so hotly debated, Shakespeare’s words penned by another? If you are of a particular disposition as to the authorship of the literary works, you will likely fall under one of two banners. Actually a more apt metaphor would be to which army you would join, because this debate is true literary warfare. These two are, the ‘Stratfordians’, the protectors of Shakespearean veracity, maintaining that yes indeed he wrote everything attributed to him, and almost certainly more with evidence to prove it. On the opposite side of the battlefield stands the ‘anti-Stratfordians’, who believe in the binary opposite of this, Shakespeare was a fraud and a simple stooge, simply putting his name to work that the higher class could not, and have put forth other (in their opinion) far more likely candidates to prove it, the claim is also made of evidence to substantiate the theory. William Shakespeare, Shakspe, Shakepsear, wait, William who? It begins with the very first thing we know of him, his name. ‘William Shakespeare’ is his name as we know it today, although he is never known to have spelt it like that. In the Oxford English Dictionary it is preferred as ‘Shakespere’. The trouble is that we are faced with over six differently spelled signatures purported to be in his own hand, so in effect we know of the general structure of his name, but the actual spelling of it confuses scholars. When his name is found in other places such as the court documents already mentioned we have over 100 more examples. It appears that it confused Shakespeare too, as he wrote it differently every time, in ways like ‘Willm Shaksp’ or ‘Willm Shakspere’ to name but a few. This immediately would suggest some form of illiteracy on the part of our bard, and the anti-Stratfordians have pounced upon this and thus we have the first attempted slur on his (excuse the pun) name. One can certainly see why, it does appear that Shakespeare has tremendous trouble spelling his own name the same way twice. This would lead to conclusions about his illiteracy and apparent lack of any education. If this is the case, how on earth can he have written some the finest pieces of work ever conducted in the English language? The thing is, that’s not quite the case at all, it’s actually rather a large grey area. The Elizabethan handwriting can also be a complete nightmare to make any sense of, liberally as to mood in the shaping of the letters, with ‘F’ that looks like an ‘S’ or an ‘I’, or ‘A’ like that looks like an ‘H’ and the list goes on. The conspiracy theorists also make much of Shakespeare’s father John Shakespeare as being illiterate as he had a habit of signing documents with a simple ‘x’ and this (with a high degree of implausibility) rubbing off on his son. This ‘x’ is actually a supposed sign of high status, to suggest, ‘I am much too busy being important to take time signing my name’. John Shakespeare was not in a lowly position in his early years, although he may have died virtually penniless. No, among many other positions of status, he was at one time the ‘high bailiff of Stratford-upon-Haven’ (note again the different way of spelling), which is in all but name a Mayoral position, a position certainly not open to people of an illiterate disposition one would certainly ascertain. Strafordians use this evidence to wave away any slur on the illiteracy of Shakespeare. His children were supposedly illiterate, but as the theory goes that Shakespeare may have rarely been able to visit Stratford, it is wholly possible he wasn’t there to oversee a decent education. Besides, his children possibly being wholly illiterate would have no bearing on the father. He is attributed to writing some of the finest examples of the English language after all. This can almost say that our Master Shakespeare was anything but illiterate; we cannot prove it conclusively of course due to the lack of documents he had written himself. But the signatures at least show a typical, literate Elizabethan man signing his signature in the manner of his time and of which it was considered normal to do so. Shakespeare may have pioneered many things in the English language, yet obviously not the art of signing his definitive name. Even if indeed, Shakespeare was only partially literate, as we have no evidence to the contrary, perhaps a ghost writer may have written as he dictated? It is not wholly impossible, there is of course no evidence for this, yet as there is no evidence to the contrary, it is still intriguingly plausible. 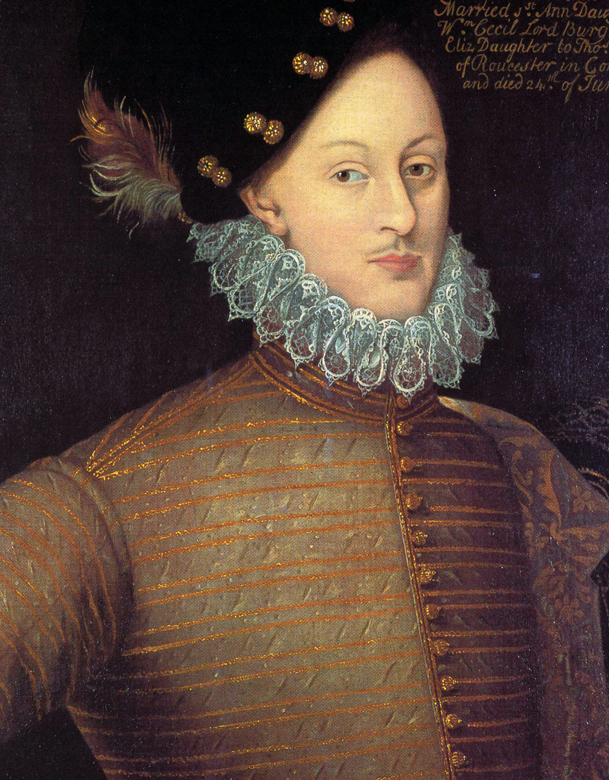 Edward De Vere, the Earl of Oxford….the true bard? So we come to the very base of the anti-Stratfordian movement, Shakespeare the fraud and the idea of a ‘cover up’, that to date would span 500 years and would call for the involvement or collusion of nearly every major playwright of the day plus supposedly court officials, actors etc. The picture the theory paints of Shakespeare, especially in regards to a new film called ‘Anonymous’ about the issue of authorship due to be released on DVD in March 2012, is not a flattering one. Shakespeare is depicted as a drunkard, illiterate fool with a slyness coolly emanating from his bones. The other candidates put forth seemingly justify the choice of someone educated in many aspects of social and civic life to have been more likely to have penned the works. Someone well-travelled and schooled in the Classics, someone gentlemanly and indebted with grace. The argument maintains someone of Shakespeare’s background would not have known the knowledge portrayed in the plays. So to digress, who, if not Shakespeare, penned them? The names shouldn’t matter, yet it’s a comedic turn of almost Shakespearean calibre one might argue. Anyway back to the point. Why would he put De Vere’s mind in Shakespeare’s hand? Again the argument of Shakespeare not being clever or travelled enough is the core of Looney’s argument. At least, Oxford does seem to be a very likely candidate, he is very well educated, a playwright, and a poet of some high regard. He spoke Italian and was by all accounts an excellent jouster, so he was a chivalrous, intelligent poet? That sounds like the kind of man to write some really good material. In 1586 the superbly named author Angel Day dedicated to the Earl of Oxford his book ‘The English Secretary’, noting that Oxford was an artist of such high calibre as ‘whose infancy from the beginning was ever sacred to the Muses’. Praise indeed. ‘May I his favour match with love, if he my love will try? Ay. Certainly doesn’t look recognisable as from the same hand. There are other, much bigger problems too, but only one has the ability to halt the claims. This is the absolute fact that De Vere died in 1604. This is before plays such as ‘The Tempest’, and ‘Macbeth’ had even appeared. And considering they contain events that happened after he died, such as the references to the Gunpowder Plot in ‘Macbeth’ and ‘The Tempest’ being based upon an account of a shipwreck written in 1609, but these claims are refuted by the anti-Stratfordians, in some cases with equally plausible other events. So after this it does seem highly unlikely De Vere wrote them or any other of the works at all. Nor is it likely that he wrote everything before his death, it just couldn’t have been physically possible. Not only this, who De Vere actually was is a troubling concern, there is evidence of him not being a very savoury individual at all. Nothing like the seductive and calming language that sooths the soul in the works of Shakespeare he is attributed to. From what is known, he was an angry, spoilt and incredibly vain individual, not the kind the kind of man it seems to have been able to hide his authorship of such a catalogue of work that was so admired (Bryson, 2006). Also to bolster the Oxfordian arguments are the apparent blatant similarities in Shakespeare’s plays to De Vere’s life. ‘The Taming of the Shrew’ would be a good example of this. As De Vere spent much of his time in Italy and had intimate knowledge of Italian life, whereas it is maintained Shakespeare couldn’t have done. The Oxfordian scholar Ernesto Grillo wrote in his book ‘Shakespeare and Italy’: ‘”the colour of ‘The Taming of the Shrew’ displays such an intimate acquaintance not only with the manners and customs of Italy but also with the minutest details of domestic life that it cannot have been gleaned from books or acquired in the course of conversations with travellers returned from Padua’. He goes on to say, ‘The description of Gremio’s house and furnishings is striking because it represents an Italian villa of the sixteenth century with all its comforts and noble luxury.” (Grillo, 1949) Doesn’t sound like something a humble man from Stratford would know does it? This is just one of the similarities found in Shakespeare’s works that attest to a hidden author, and Oxfordian scholars have found evidence of this in nearly every one of Shakespeare’s plays. However it is far from definitive, at best it can only be seen as conjecture. To counter this Stratfordians have shown there is also ample evidence to the contrary, as Shakespeare made some big mistakes, but more of that in Act II. De Vere is a very interesting character but the evidence against him far outweighs the somewhat circumstantial evidence for him. In this piece we have concentrated primarily on the main argument of the case against Shakespeare, and of the chief desired candidate for the true authorship. Shakespearean scholarship is vast, and the Stratfordian and the anti Stratfordian debates are becoming just as vast in scope. In the next instalment, we will look at the other theories and rebuttals that are fast becoming almost gladiatorial in their ferocity. Theories such as Shakespeare’s lack of education and how his plays contain far more detail of privileged life and politics than a provincial would have ever known. Why did he not leave any manuscripts in his will, or even any snippet of personality? 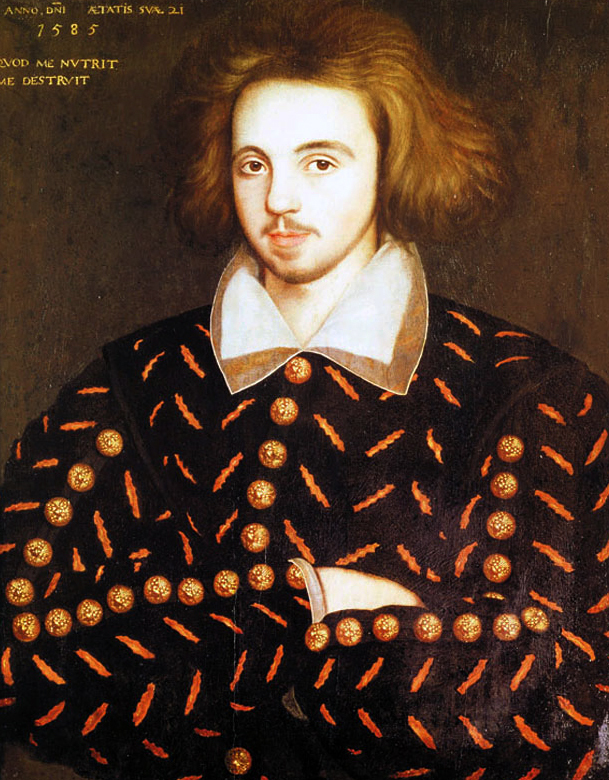 By looking at his works and showing how he grew as a writer, and the flashes of his own provincial background that shine through that would certainly go some way in proving irrevocably that William the actor from Stratford, was the true Shakespeare. William Shakespeare, Julius Caesar, Act 3, Scene 2. All images are from Wiki Commons.